Remarkably, a full-throated 41 percent of voters told exit pollsters last week that health care was their most important issue this year, according to NBC News, dwarfing even the economy, gun reform, and immigration. To twist Clinton strategist James Carville’s words, it’s Obamacare, stupid. North Carolina policymakers should take heed of that today, with the state just weeks away from jettisoning a GOP supermajority in the General Assembly that, come hell or high water, refused to contemplate Medicaid expansion. Expansion extends government-funded healthcare to low-income adults who take in 138 percent of the federal poverty line, roughly another 600,000 or so North Carolinians. But North Carolina Republicans were so burned by the prospect of cozying up to a Democratic legacy-builder like Obamacare that they bristled at even the most tepid overtures, including a bill that would have called on state officials to at least study the pros and cons of expansion. With Republicans’ veto-proof majority broken, perhaps they’ll be in a more accommodating mood in 2019. Of course, Republicans still hold healthy majorities in both the state House and Senate, but any piece of significant legislation will require buy-in from Democratic Gov. Roy Cooper or a number of Democratic lawmakers to endure past a Cooper veto. Cooper’s made no secret of his ambition to correct the GOP-controlled legislature’s long-running Medicaid folly, an ill-conceived stand as pugnacious as it is partisan. Don’t be surprised if Medicaid expansion re-emerges during budget negotiations, even if Cooper and Democratic strategists play coy in the months to come. This year’s dictatorial budget process aside, negotiating the General Assembly spending plan requires give and take from lawmakers. Yes, there’s pork, but legislators, even legislators negotiating with members of their own party, use their pet projects as bargaining chips. And for the first time in years, Democrats and Cooper – long doomed to one symbolic stand after another – will hold honest-to-God bargaining chips. 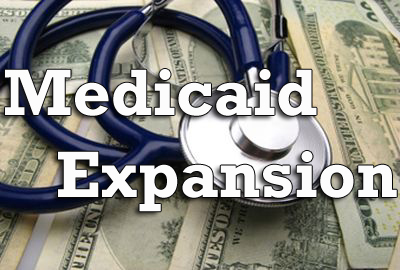 It seems unlikely that Republican leaders like Sen. Phil Berger and House Speaker Tim Moore would yield ground on this issue, but Medicaid expansion will at least be on the table when lawmakers begin the horse-trading. Of course, Republicans have not been silent on healthcare. Lawmakers mercifully balked this year on a GOP proposal to backload a widely-supported school safety bill with an odiferous provision clearing the N.C. Farm Bureau to offer low-cost, poorly regulated health coverage. To healthy individuals who can’t afford their premiums, the Farm Bureau plans – which would have been allowed to discriminate against people with pre-existing conditions – made a boatload of sense, but the resulting exodus would have destabilized the Obamacare exchange, loading down the government plans with sicker folks and potentially driving up premiums for all. Happily, the scheme to allow cut rate policies ultimately capsized earlier this year, but with the Republican supermajority returning for one last “lame duck” session later this month, nothing’s off the table, including the return of the Farm Bureau plan. But cheapo health plans aside, North Carolina Republicans’ obstinate refusal to embrace Medicaid expansion since 2013 places them among the most extreme conservatives in the nation, a group so distrusting, they’d reject all but the most innocuous of policies that emerged from the Obama White House. While conservative states like Indiana, Arkansas, and Virginia have reluctantly embraced the expansion, North Carolina Republicans remain doggedly dogmatic, a group convinced that the federal government will somehow ultimately fail to come through on its end of the deal. And the opposition is strongest among Republicans representing rural North Carolina counties, even though constituents in these regions may stand to gain more than voters in urban areas should state leaders reverse course on Medicaid expansion. It’s foolish, spiteful, and worst of all, harmful to the people of North Carolina. Lawmakers should reconsider their position on expansion today, not tomorrow or one year from now. They may have all the time in the world for their political grandstanding, but their constituents, quite literally, may not.